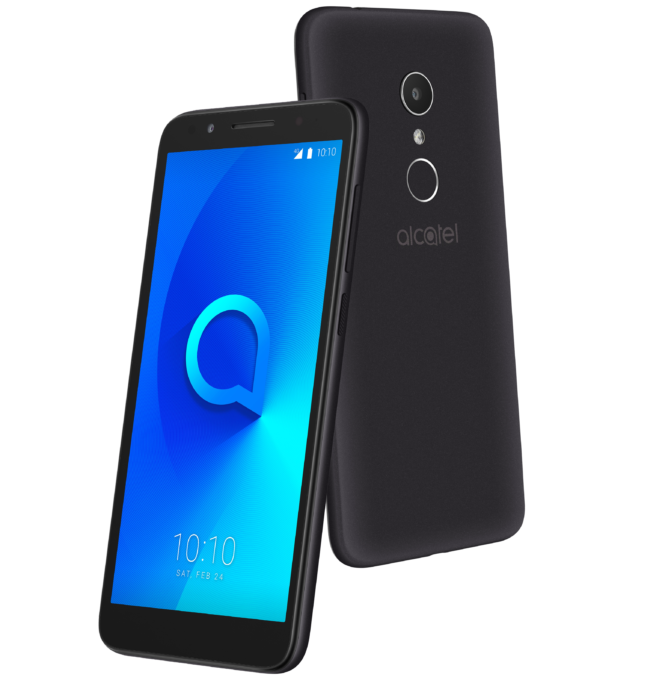 On paper, the Alcatel 1X has a few noteworthy features, both positive and negative. The 18:9 5.3-inch display is a first on such an inexpensive handset, and the company is quick to point out that the panel is built by TCL. But the resolution of that screen may leave something to be desired, at a mere 480x960. In contrast, LG managed a bit better in the K8 and K10. The MediaTek SoC is also slightly disappointing, given ZTE managed a Qualcomm SoC. Other features like the lighter RAM and storage are also to be expected. Every Android Oreo Go edition phone we've seen is limited in that regard, and by design: The software is purpose-built to run in a more resource-constrained environment to cut down costs. The handset is compatible with all US GSM carriers, including AT&T and T-Mobile, and it even supports VoLTE on the latter. Initially, we thought this phone wouldn't get a fingerprint sensor since the version we played with at MWC didn't have one, but the US-bound model does bear the extra feature. For $100, it's good security was a consideration. As far as ports go, the 1X has a Micro USB on the bottom and a 3.5 mm headphone jack up top, a feature even the Pixel 2 doesn't have (still salty). It's described as having a "suede" finish, and while we're not quite sure what that means, it sounds like it may be different than the models shown off earlier this year. In our time spent playing with it in Barcelona, Scott described it as "the plain oatmeal of phones," with some slightly strange navigation buttons. Nonetheless, the software seemed generally un-messed with. That's good, because Alcatel has a bit of a problem, historically, with the apps it chooses to include. If this is a mostly stock device, though, that may not be a concern. 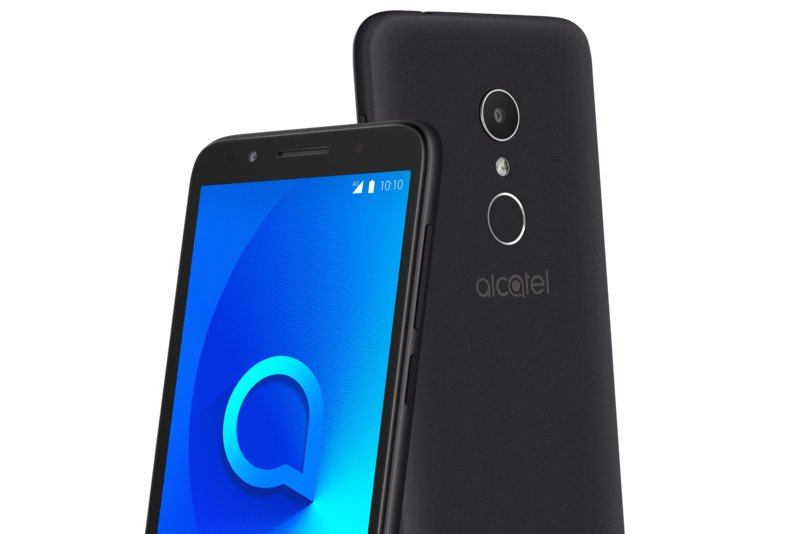 Alcatel's phone officially goes on sale via Amazon sometime next week, making it the 2nd Android Oreo Go edition phone available in the US, and the only one you'll actually be able to buy. Best Buy and Walmart availability will follow in the coming weeks. And keep in mind, whatever complains we might have on paper, $100 is really cheap for a fully functional and brand-new Android handset. We'll have to reserve final judgment for our upcoming review, though. TCL let us know that the 5"/5.3" display size confusion we noted in our coverage is meant to be just 5.3", so we've struck the bit that made reference to that discrepancy and updated everything with the correct numbers. Early today the Alcatel 1X went up for sale on Amazon, but it appears that it has already sold out. Nonetheless, you can now place an order for later delivery once stock is replenished. As of now, there's no date for that set, but if you're itching to place an order, now you can. who wants a robust smartphone at a lower price without sacrificing features. smartphones run Android faster, more efficiently and safer than ever. full suite of Android apps and games on Google Play. other tasks and services. It’s your own personal Google, always ready to help. via social media and catch up on the latest news. friends’ parties by taking four pictures in a row, one shot per second. Walmart.com in the coming weeks. globe. For more information, please visit www.tclcom.com.